Laura Sturm is a graduate of Northern Illinois University’s MFA Theatre Arts program and has been working as an actor in Chicago since 1994 with a variety of theatres including New Colony, Mary-Arrchie, Signal, Remy Bumppo, Stage Left, Boho, Raven, Promethean, Accidental Shakespeare, Polarity, Northlight, Victory Gardens, and Bailiwick, as well as a summer spent with the Texas Shakespeare Festival. Laura has a vast array of experience, from classical (Gertrude, Imogen, Titania, Clytemnestra, Mrs. Hardcastle) to American classics (Blanche Dubois, TIME OF YOUR LIFE) to contemporary works, some brand new, and even the occasional musical. Laura is a company member of Organic Theater, where she appeared in both shows in each of the company’s past three summer repertory seasons. By day, Tom works a dead end job for the man and can’t get a date. But by night, he’s top of the leader board, a master gamer. Othered and lonely, Tom is sucked into the Order of the Sword, an online community that seems to promise him his digital persona in real life. 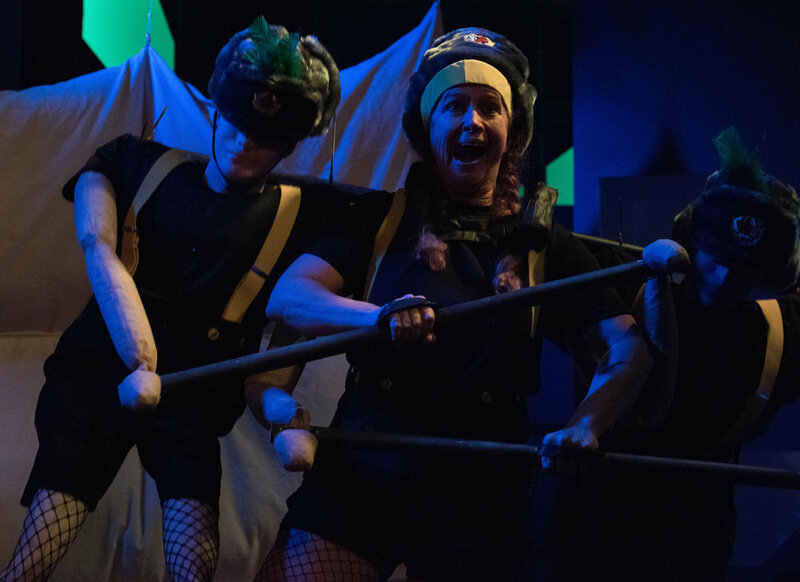 Developed through The New Colony’s Writers’ Room and inspired by Gamergate and online hate movements, FUN HARMLESS WARMACHINE is a cautionary tale of the power of fear and the seductive pull of the alt right. THE REVOLUTIONISTS, a fast-paced, comedic quartet by 2017’s most produced playwright, follows four very real women who lived boldly in France during the French Revolution’s Reign of Terror. 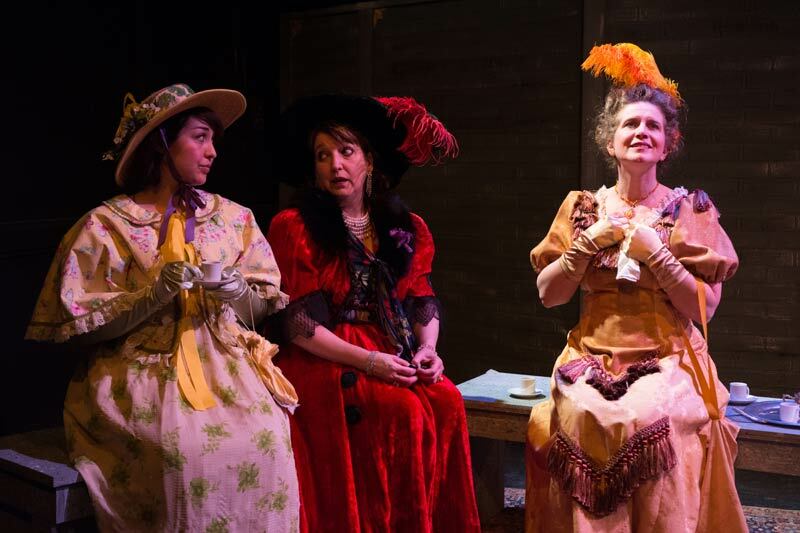 Former queen Marie Antoinette, playwright Olympe de Gouges, assassin Charlotte Corday, and Haitian rebel Marianne Angelle collide in this true story, total fiction, and play about a play. A passionate and decisive call to action through the true (and sometimes not) stories of these four extraordinary women. Company member Bryan Wakefield directs the Chicago premiere of Lauren Gunderson’s thrilling new play. TIRESIAS WAS A WEATHERMAN is a world premiere comedy about serious stuff. 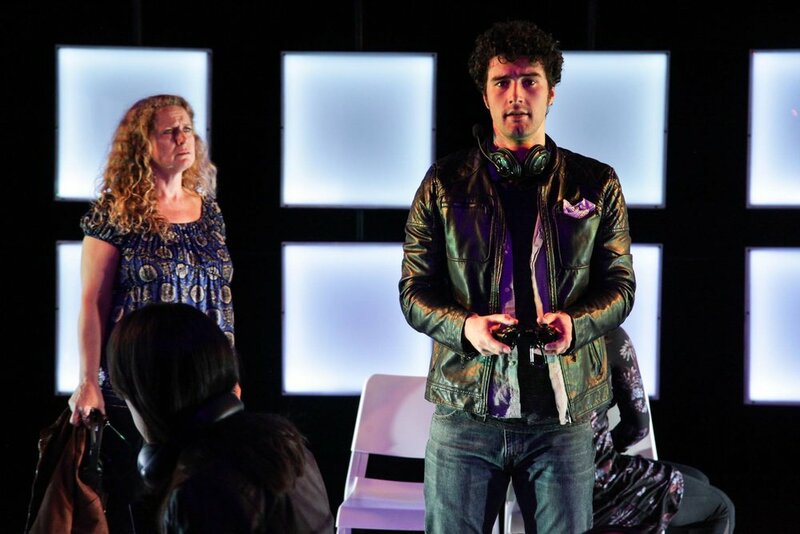 In this kinda-sorta adaptation of Sophocles’ classic ANTIGONE, playwright Jaime Mire imagines a world, parallel to our own, where human emotions have a direct connection to the weather. These events occasionally result in immediate and disastrous meteorological events. How far are we willing to go to stay dry? Grab your umbrellas for this off-beat and touching comedy about family, mental health, and the weather. Directed by company member Josh Anderson. The Madwoman of Chaillot reveals a plot by a group of corrupt business executives who are planning to dig up the streets of Paris so they can pump oil that they believe lies beneath. Their plot is challenged by the titular “Madwoman,” the eccentric Countess Aurelia, an idealist who resolves to fight back and rescue humanity from the scheming and corrupt developers with the help of her fellow outcasts and her fellow madwomen. Originally written to protest thoughtless urban renewal, The Madwoman of Chaillot has remained remarkably up-to-date. Today, the play speaks to environmental concerns, the destruction of the natural world, and the manipulation of world financial markets. Émilie Du Châtelet was a brilliant 18th century philosopher, mathematician and physicist (not to mention lover to Voltaire), who published many works, not the least of which includes a translation of Isaac Newton’s Principia, in which she made an incredible contribution to Newton’s inimitable Laws of Energy. 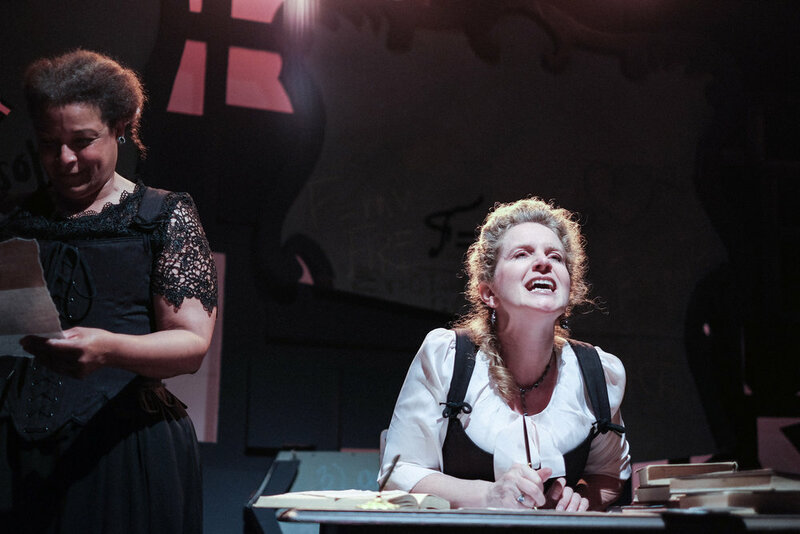 In this lively and imaginative play by award-winning playwright Lauren Gunderson (Miss Bennet, Silent Sky), 18th century scientific genius Émilie du Châtelet awakes from death to answer the questions she died with. What takes precedent? Love or philosophy? Head or heart? In a world shrouded in chauvinism, with dilemmas from her past sitting beyond her reach, Émilie seeks answers to the big questions. And as she brilliantly added to Newton’s understanding of the universe after his death, so she enlightens and enlivens our universe after hers. King Ubu by Alfred Jarry, is a parody of Shakespeare’s Macbeth, with bits of Hamlet and King Lear tossed in the mix. An outrageous farce, King Ubu examines the monstrous personality of Papa Ubu, a gluttonous and brutal creature who murders the royal family of an immaterial Poland in order to ascend to the throne. One hundred twenty years later, the text displays similarities between Jarry’s characters and some of the current political scene’s more famous personalities too difficult to ignore. As Jarry intended, no one is unscathed.